Wilf Roberts was born in 1941 on the Isle of Anglesey. He taught Art in London for thirteen years whilst attending Croydon Art College. He successfully exhibited his work in solo and mixed shows in South London and the West End. 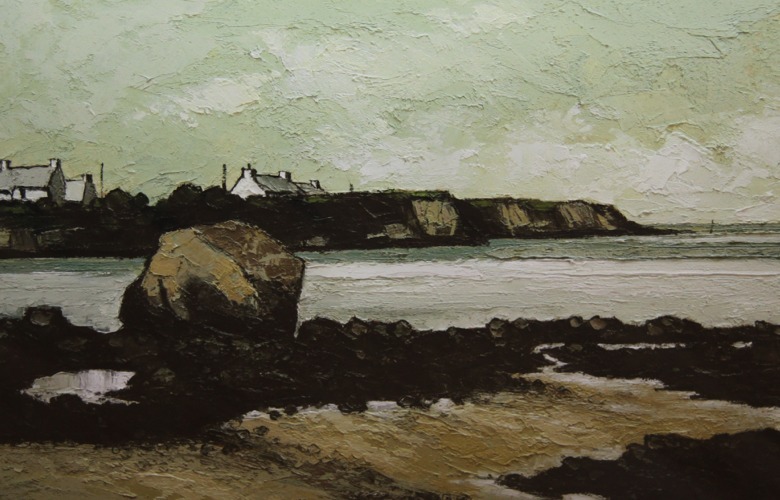 He returned to Anglesey in 1974 and continued to paint his surroundings; he accepted commissions, donated works, and designed posters for national charities. Since retiring in 1996, he has painted full time. 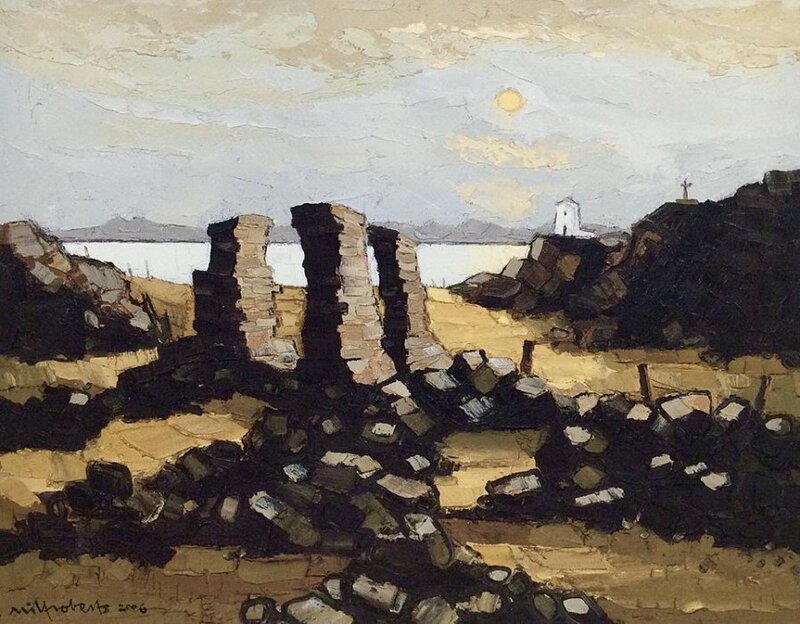 Wilf draws his inspiration from the stark, rugged beauty of his surroundings, in his landscapes he manages to simplify the subject matter without losing the essence of the scenes, producing work that is both strong and powerful. He is now regarded as one of the finest, individualistic and popular artists now working in Wales.